13.3 (fixed): Chris Beckett discusses his novel Dark Eden, writing for realism over role models, and how he thinks about genre. 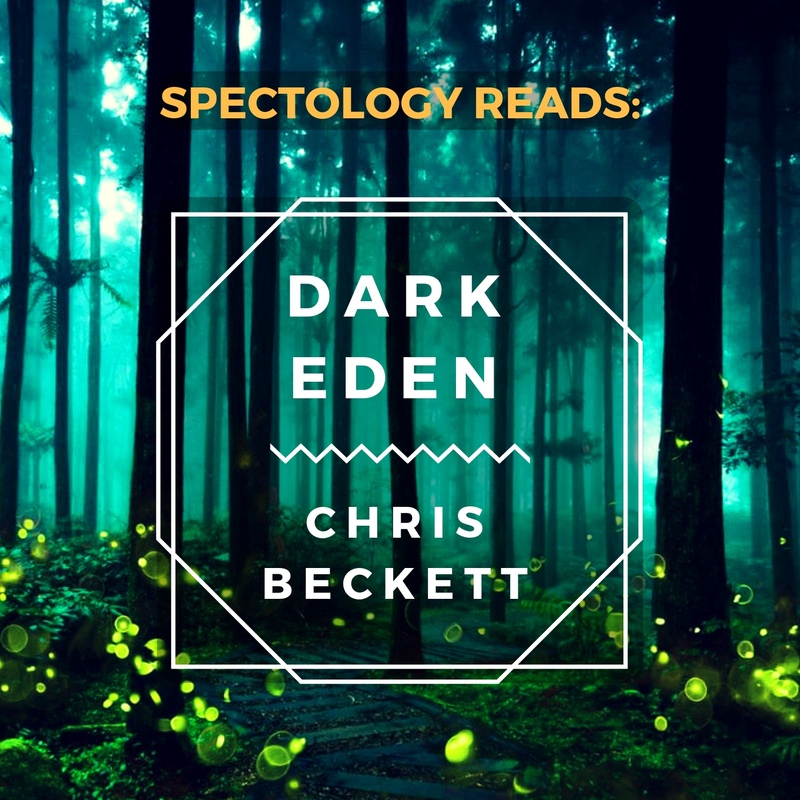 This week we have a very special episode, as we're joined by Chris Beckett, author of April's book club selection Dark Eden. Chris was kind enough to call in from the UK to answer questions from Adrian, Matt, & Kevin (as asked by Adrian) about the book, his writing process, how he views political change, why his books don't have role models, his history with science fiction, and much more. We hope you enjoy this episode! If you like it, let us know, and we'll try to do more author interviews in the future. Many thanks to Chris Beckett for making time for us, it was an incredibly enjoyable & thoughtful conversation. Make sure to check out Chris' most recent book, Beneath the World, a Sea, which is available in hardcover & ebook in the UK and can be shipped to the US via sellers on Amazon. 13.2: Dark Eden post-read w/ Kevin Kelsey: From Stories to Legends to Myths to Religion. We're once again joined by Kevin Kelsey of Heradas.com to discuss Dark Eden, by Chris Beckett (https://amzn.to/2TRcpX0). We've (re-)read this book and all loved it, and have a lot to dig into! We talk about the political philosophy of the book. We discuss the psychological reality of the characters. Adrian rants about poverty for 5 minutes and why this book is personal for him, so that's on-brand. It's worth heeding the content warnings on this one, we talk in-depth about that stuff in the 2nd hour. - The sequels, Mother of Eden & Daughter of Eden—worth reading! 12.2: Semiosis post-read w/ Nate Spence: Budding Utopia or Mutualist Dystopia? Matt, Nate, & Adrian have a long, rollicking conversation about Semiosis, by Sue Burke (https://amzn.to/2JGYm6C). We all really loved the book, but also have a lot of criticism of it, and we get really in-depth on what it all means to us. The only other books we really mention are Children of Time by Adrian Tchaikovski and Dark Eden by Chris Beckett. Look for our 8.1 & 8.2 episode numbers for discussion on CoT, and look out for our episodes on Dark Eden next month! In addition, if you want to go deeper on how ecologies aren't stable and why thinking so leads to bad utopias, the 2nd episode in the documentary All Watched Over by Machines of Loving Grace will be right up your alley. You might also enjoy the book Seeing Like A State by James C. Scott. Finally, big thanks to Nate for suggesting this book and talking to us about it for over 3 hours over these two episodes. Find his videogame on Steam Early Access by searching Ectolibrium. Also thanks to Nate's wife, Amanda, for the artwork this month, she's at @@amandalamandala on Instagram. Short description today, have a cold and just trying to get this episode out. May edit it later. Resources mentioned: Soft Apocalypse by Will McIntosh, Black Preppers by Bim Adwunmi, Interaction Ritual Chains by Randall Collins, & the review of IRC by Xavier Marquez. If links aren't showing up your podcatcher, go to spectology.com for them. Join us for a fun & punchy look back at Spectology's first year in books. Matt & Adrian discuss the favorite books we read in 2018, some of our favorite episodes to record, and just generally have a good time while reflecting on what a wonderful year we had together & with you all. Major thanks goes out to everyone who has helped us so far! Our guests in 2018: Tobias, Britt, Max, Ellie, Kevin, & Charlotte. Dubby J & Noah Bradley for providing music & art to us. Seth for hosting me on his podcast. And of course anyone who has told a friend, submitted us to reddit, tweeted about us, or just listened to some of our episodes. We're so lucky to have such awesome listeners, and we're looking forward to reading another dozen books in 2019! We've got a great list of books and authors coming up this year, I can't wait to share them all. As always, you can find us at @spectologypod on twitter, or email us at spectologypod@gmail.com. We'd love to hear your favorite moments of our from 2018! This week Adrian & Matt have finished this month's novel (Ten Billion Days & 100 Billion Nights) and have a whole lot to say about it! We talk about entropy, death, religion, and more. I'd write more but I'm tired so you'll just have to listen.